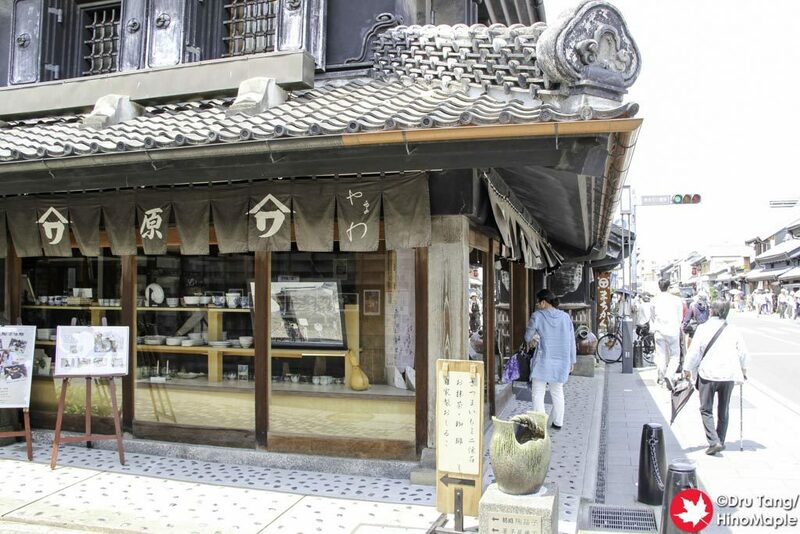 The Kawagoe Warehouse District is a really nice place to visit and really the only interesting place to visit in Kawagoe. Yes, Kitain and the Honmaru Goten are interesting but you can see similar things closer to Tokyo if you want. 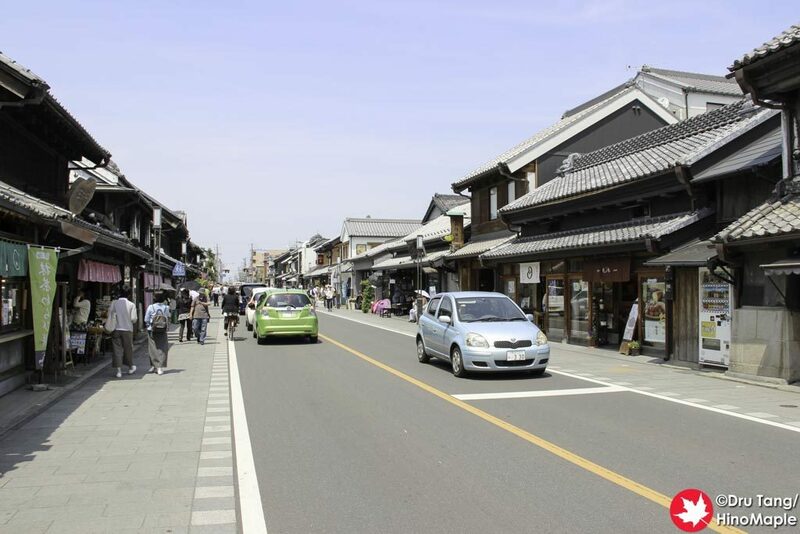 The Kawagoe Warehouse District is an old area that was primarily built during the Edo Era and continues to look the same. Most of the buildings in the area are built to resemble the buildings in the area and if you are an architecture buff, you can really enjoy the mix of old buildings there. Getting to the Warehouse District is pretty easy. You can take the tourist bus on weekends, but on weekdays it is probably better to walk. The buses only run every 50 minutes on weekdays but every 15 minutes on weekends and holidays. It is a relatively short 20 minute walk from Kawagoe Station, although it is shorter if you are coming from Hon Kawagoe Station. 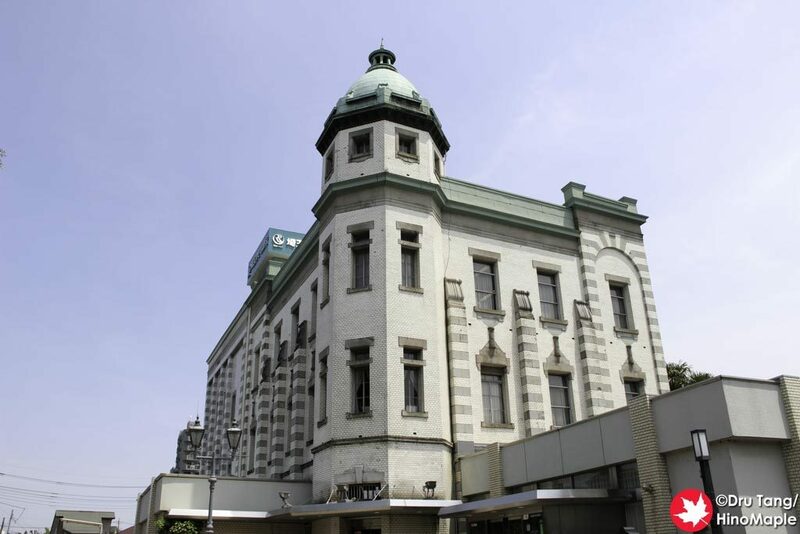 From Kawagoe Station, head out the East Exit and turn left. 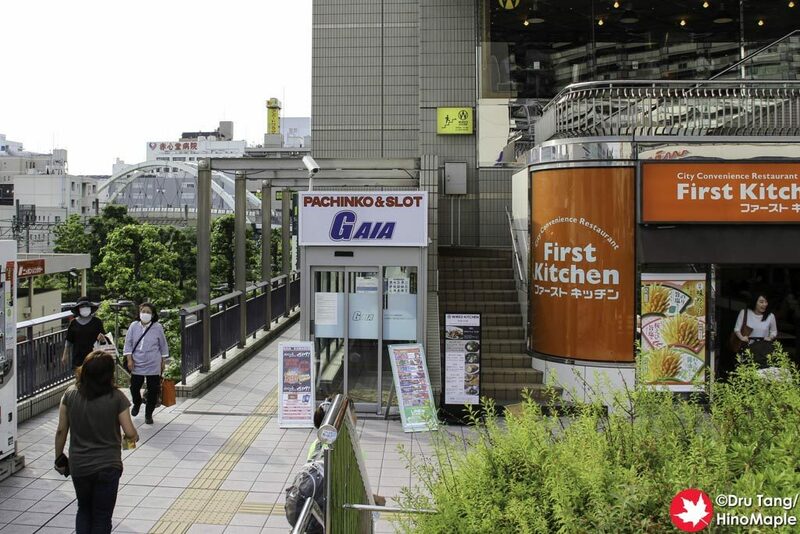 Take the elevated walkway around the department store (Atre) and at the end of the walkway you can either take the elevator or stairs to go down. At this point you’ll be at the Crea Mall, which is just a long shopping street. 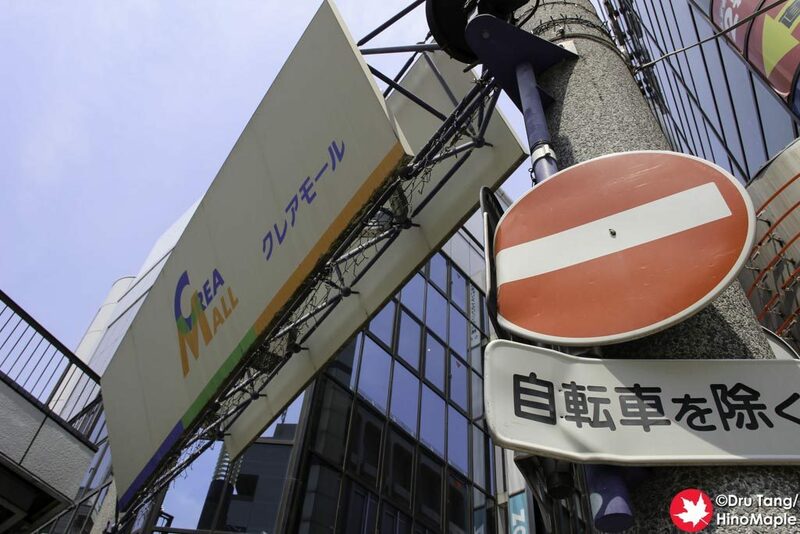 If you are coming from Hon Kawagoe Station, just go one block east of the main street and you are at the Crea Mall. If you head north along Crea Mall to the very end of the street, you’ll be at the Warehouse District. If you turn left and then right at the next street, you’ll be on the main street for the Warehouse District. The Warehouse District is pretty small, but you can also add about a block east and west of the main street as part of the district. I didn’t venture too far from the main street but it was much quieter off the main street. The main street itself is only about 3 blocks long and by the time you get to the next intersection with a light, you are at the end of the Warehouse District. At the south end of the Warehouse District, you can enjoy some of the older buildings with very large gables. There are some nice stone buildings with a few stained glass windows as well. The mix of architecture from the different ages is really nice to see. About a third of the way north you’ll see the Resona Bank. 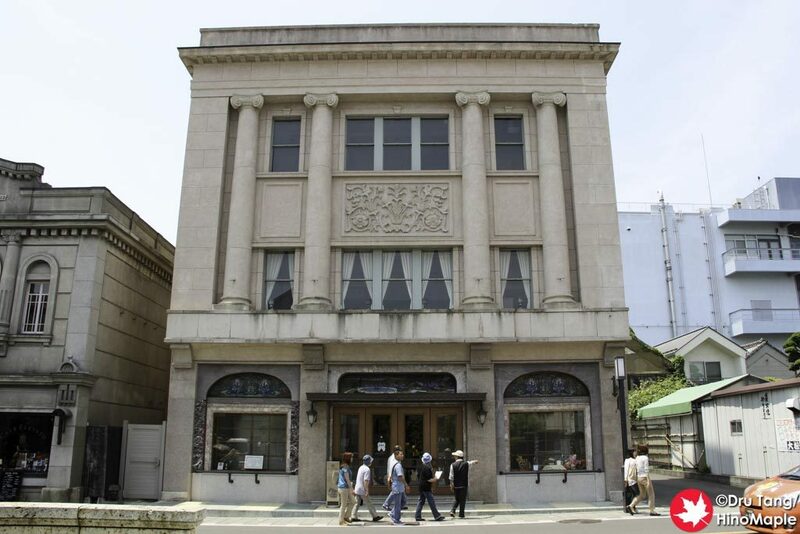 This is a pretty old building for this bank but I couldn’t get much information in English and I don’t have the patience to really look up the information in Japanese. 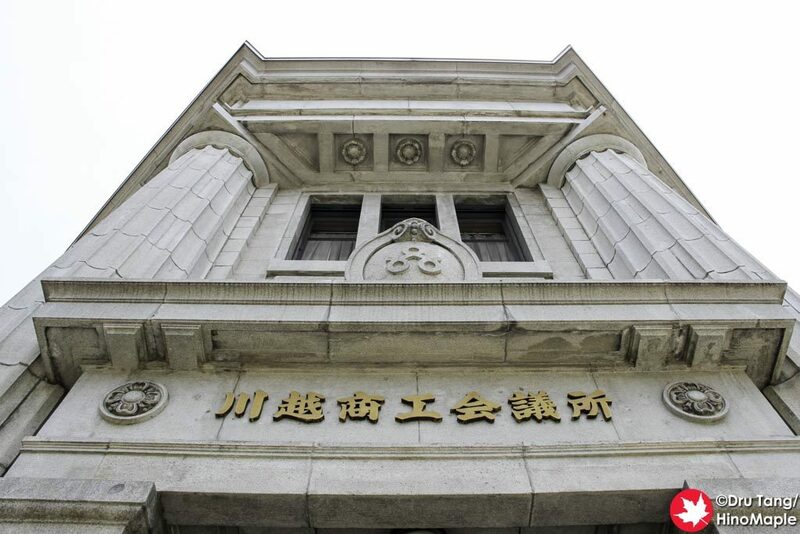 The building itself is a nice landmark and easy to see. About two-thirds of the way north you’ll come to a small street on the right. At this point you can turn right if you’d like as this will take you to one of the Warehouse District’s famous attractions, a bell tower. Unfortunately I missed the bell tower completely as it was being renovated. I returned after lunch to see if I could find it and discovered it was covered in an ugly grey covering. 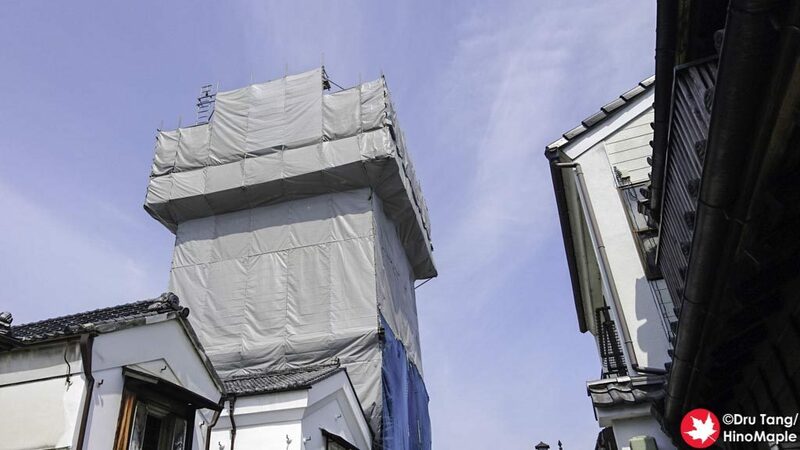 For 2016, they decided to renovate the bell tower and they expect it to be finished by November of 2016. It is a short time but I had really bad timing to visit Kawagoe and I will likely not revisit this area again. If you are into shopping, there is a lot you can do in the Warehouse District. There are various craft shops that sell things from dishes and glasses to wind chimes and even umbrellas. You can purchase the local delicacies that usually involve sweet potatoes and purple potatoes. You can easily find potato manju as well as potato ice cream. I was never really hungry for that during my visit so I opted for the local craft beer, Coedo beer. 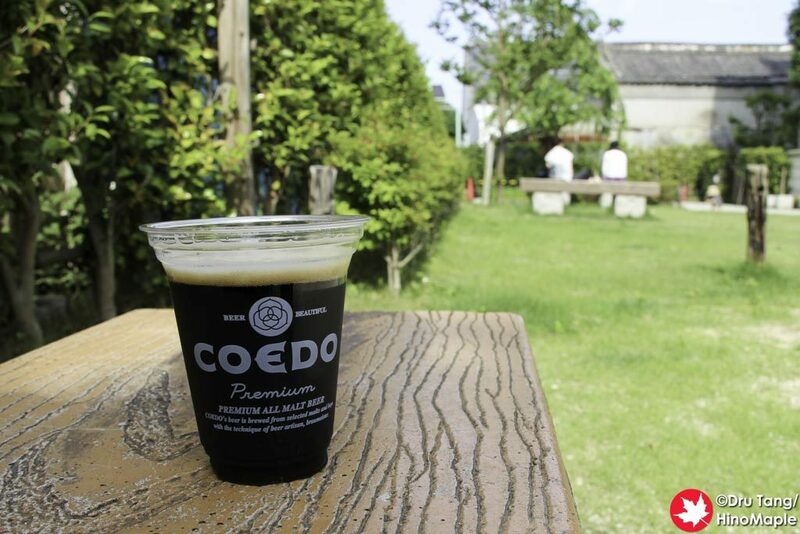 Coedo beer is everywhere and really plays to the name of the area, “ko-edo” which is Little Tokyo. 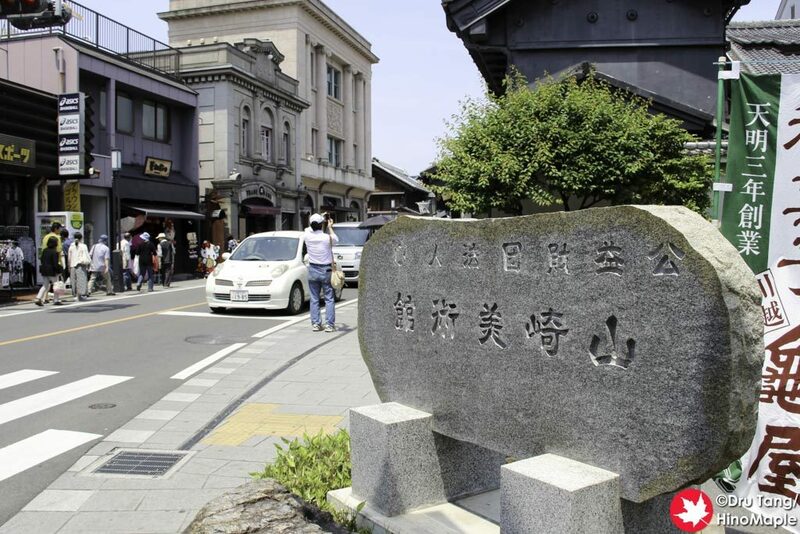 Having visited Kurashiki in Okayama, another old Edo Era area, as well as other places with similar architecture, I found Kawagoe to be boring. 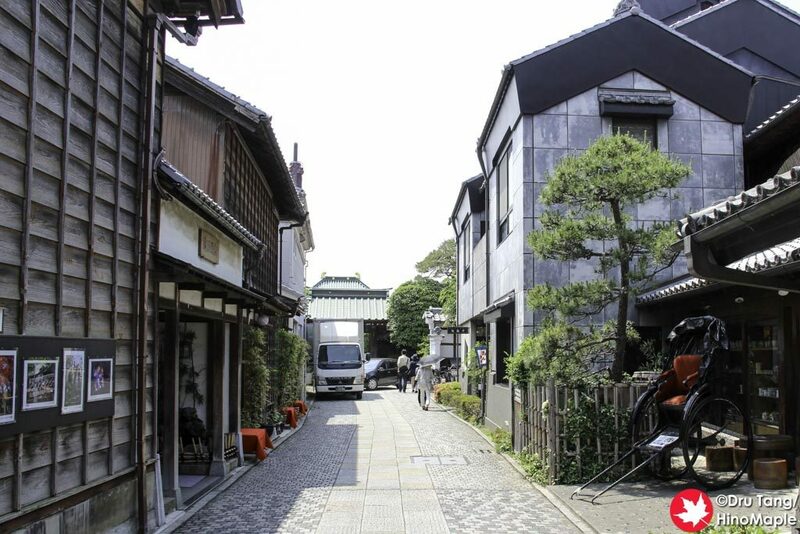 I was amazed by the beautiful stone buildings of Kurashiki but in Kawagoe I was not as impressed. I think if I was visiting Kawagoe first, I may have been more impressed. I was also detracted from Kawagoe due to the number of people there. Even on a weekday, it was pretty busy with tourists. The sides of the road are pretty narrow so you can’t really walk past people without worrying about being hit by a car or bus. You need a lot of patience but thankfully it was a weekday. If it was the weekend, I can’t imagine how terrible it would have been. Choosing to visit Kawagoe just for the Warehouse District is difficult for me to recommend, but there are many reasons why you should. 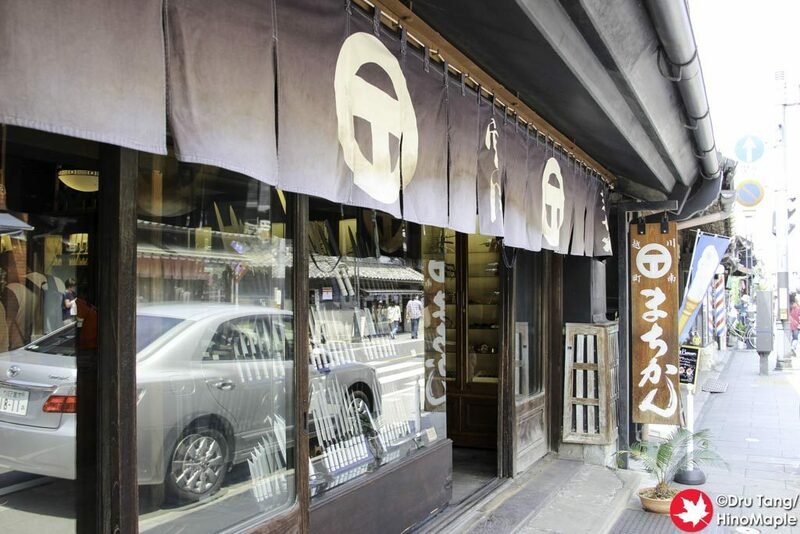 If you don’t plan to travel around Japan to other areas, and you only want to stay in the Kanto area, then this is a place you should visit. If you want to go to other places, you are better off waiting till you go to those other places. 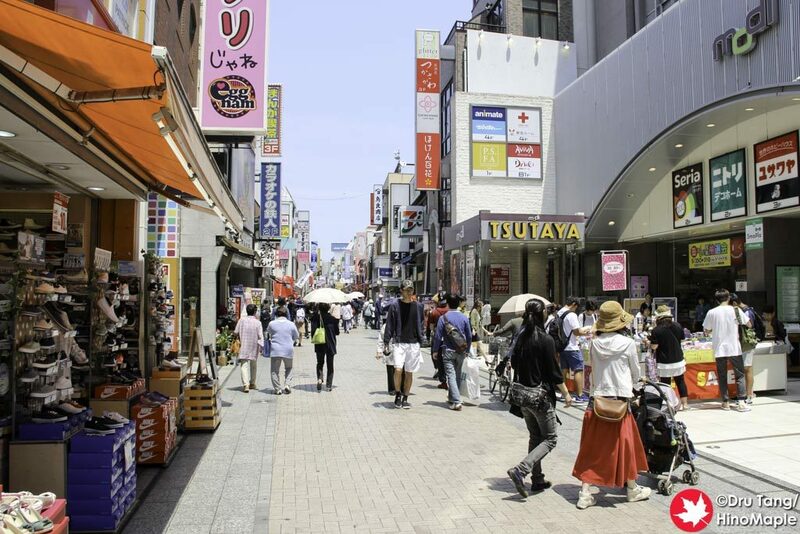 For me, I was still happy to go as I just wanted to go to a new place and Kawagoe fit that need. I don’t regret going and there is a small chance I will go again, and if I do you can expect an update to this post as well. 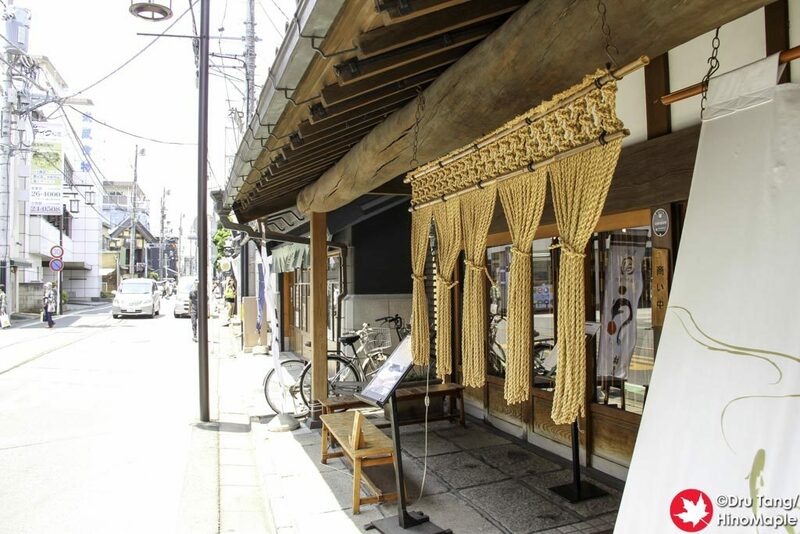 This entry was posted in Kanto and tagged Coedo, Coedo Beer, edo era, Edo Period, japan, Kawagoe, Kawagoe Warehouse District, Saitama, warehouse, Warehouse District by Dru. Bookmark the permalink. I miss Kawagoe, used to go to the Kawagoe Festival every year. Third Sunday of October! How is the festival? Anything special about it? Never read much about it. Also, didn’t you go there recently?